Diabetes is in my family. My mother, Molly–who’d be 96 today–died of a diabetes-related heart attack at 9 a.m. on December 2nd 1982, while dressing to go shopping. Perhaps a good way to go–but hard for the rest of us. She was 68. 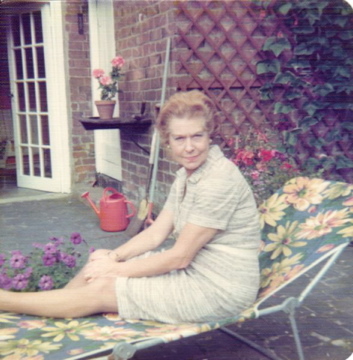 She developed Type 1 diabetes in the early fifties–the result, we were told, of shock at the sudden death of her own mother at our home in north London. Molly was in her mid-thirties. Diabetes was in her family–her Uncle Harry had it. Enough was known about the disease by then to allow her another thirty years of life–she would often cite Drs. Banting and Best (http://nobelprize.org/educational/medicine/insulin/discovery-insulin.html ) as her saviours, for their ground breaking work on insulin (http://en.wikipedia.org/wiki/Insulin). When she was pregnant with my youngest brother Jack, the doctors at St. Thomas’ Hospital over the Thames from the Houses of Parliament, were uncertain whether to allow the pregnancy to continue. They went ahead–praise the Lord!–and Jack Ellis (http://en.wikipedia.org/wiki/Jack_Ellis_%28actor%29) thrives to this day! She injected insulin twice a day for the rest of her life without any song and dance. I was in awe. From time to time she would have what she called a”reaction“. This usually happened as result of a low blood sugar level. If she hadn’t got her insulin balance quite right–at a cocktail party perhaps (this was the fifties! ), she’d start acting strangely, sometimes appearing to be the worse for drink. My father would delve into her handbag for the lump of sugar he knew was there and with some difficulty persuade her to swallow it. At first it struck us ignorant kids as odd that a person whose body couldn’t absorb sugar normally would swallow some to save her from a coma or worse! These “reactions” would occasionally occur in the middle of the night–a real danger. Miraculously my father always woke up in time to administer the sugar lump–though a couple of times I remember Ma being taken by ambulance to St. Thomas’ in a comatose state. Witnessing first hand the damage diabetes could inflict, I needed no persuading to take it seriously when my diagnosis came a dozen years ago. Ma set a great example. She was steadfast, brave and determined to enjoy life–despite her difficulties. Robin, thanks for that very moving post. Long live Molly! Yes, thank you for sharing your memories of your very special Mum. A lovely reflection on your Mom Molly on Mother’s Day…I wish you the best in managing your condition. You certainly look good! Robin – memories are so important to us, thank you for sharing yours, Your mum would be just as proud of you & your brother as you both are of her. Moving story, thank you to share it with us. Your Mum was too young only 68 (my mother almost 65 like I told previous). Always take care of yourself and enjoy life every day, life is short enough. You look very good Robin, it was a good decition to life in France. My health is also not so good(spinal cord etc..), I also have to go to a better climate, hope I can make it. Dear Robin, Loved Poldark – glad to see your mothers sensible acceptance of her illness was not wasted on you, may you enjoy a long and happy existence because of this experience. Thanks, Denise–much appreciate what you say. 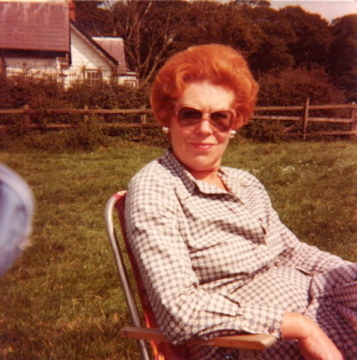 Hello Jean and thanks–Ma was brave and enjoyed life. Thank you, Gaetana–what you say much appreciated. You need to ask your doctor about a specific problem, Mandy. Exercise and the way you eat are important factors in controlling the condition but it sounds as though you are managing well and that means you have taken steps to find out more about Type two over the last five years.